As winter approaches, white embraces coats, chunky-knits and sneakers, brightening up our closets with a touch of dazzling light. White is the new Black! 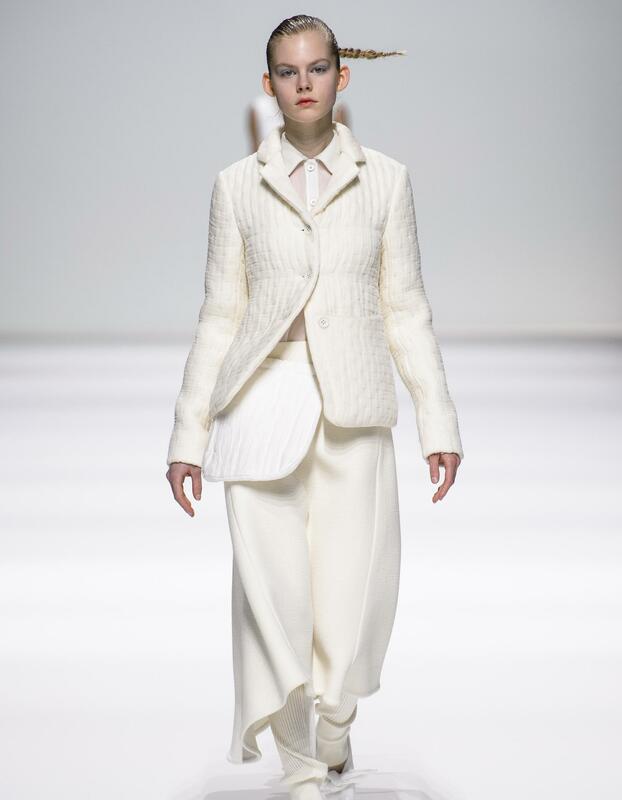 Pure and virtuous, white makes a strong statement and has set itself apart as the (non) color of the season. “In eradicating all color, white accentuates the cut, the proportions, the fabrics, and subtly radiates its own light”, explains Marine Chaumien for Marie Claire magazine. 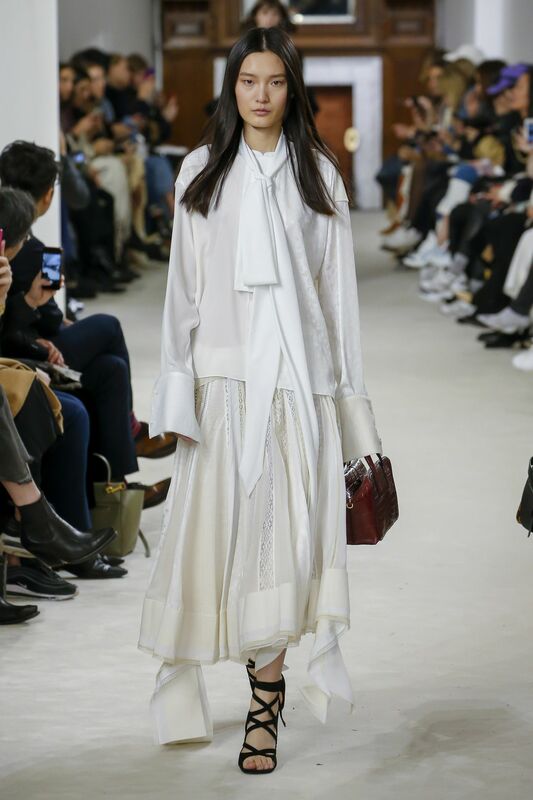 Silhouettes in white graced the runways with elegance and harmony for the likes of Jil Sander or Lemaire, with a totally alpine feel that signaled the return of mountain chic. To this we can add an alpaca wool cable-knit sweater and a snood in white cashmere. For a more minimalist yet still whiter-than-white look, why not layer a long-sleeved chiffon blouse with a knitted vest for a marble-effect vestal virginal charm? For those afraid of an all-white overload, we can draw inspiration from Johnathan Anderson for Loewe, combining a white sheepskin coat with a black suit. The result: a striking and refined silhouette that’s indisputably modern. When it comes to shoes, white is the perfect partner for Vanessa Wu’s derbies, ankle boots and sneakers. Combined with silver, beautifully understated elegance is guaranteed. To round this opalescent look off, team with an extra chunky silver necklace and a large steel-gray watch. Finally, go for a structured and highly-textured purse to really bring out both the proportions and the subtle plays of white.